Recent repairs at the century-old Fine Arts Theater on Baronne Street have nearby neighbors enthusiastic that the grand building may soon be due for redevelopment, they said Wednesday night. 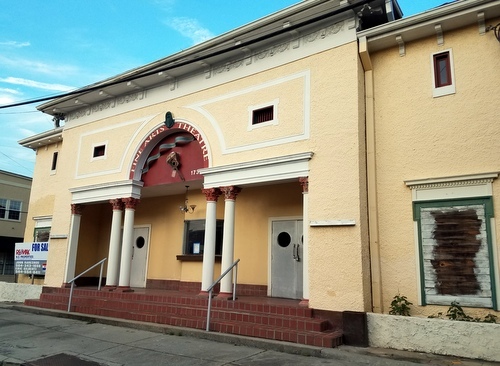 The building at 1733 Constantinople Street was originally used as a neighborhood movie theater, and in later years, became a reception hall. It is now vacant, and the Historic District Landmarks Commission work permit allows for the owner to remove overgrown vegetation, and repair rotted wood. Much of the effort has been directed toward adding support to the outside balcony along Baronne Street, said Beth Robinson, a member of the Delachaise Neighborhood Association. John Rareshide of REMAX, the agent for the building, said Wednesday morning that the theater was built in 1917. With four apartments upstairs and a commercial kitchen on the first floor, the building has a number of possible uses and several potential developers have examined it lately.